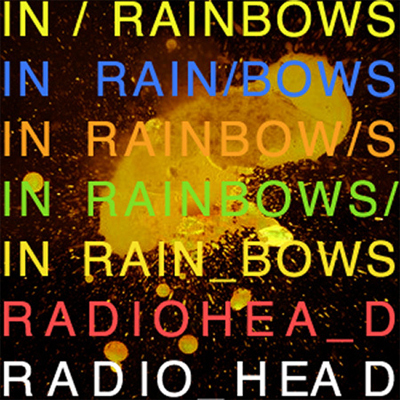 We have gotten our hands on the actual album cover for In Rainbows for you to use on your iPod or whatever mp3 device you use. Many thanks to Leslie at tube.hk and radiohead.com.hk for clueing us in to this. Update… Errr.. This may be the back of the album actually. We’re working to get the front for you asap. Update again… We got another one (above) which is probably the actual cover. There is still confusion about which one it is which we’ll hopefully clear up for you. 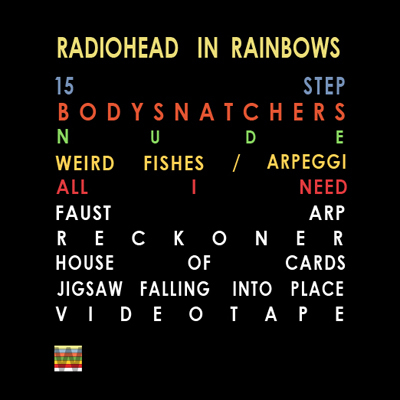 Next post: Radiohead sell 1.2 million copies of In Rainbows worldwide.